NikWax Leather Restorer is a water based waterproofing conditioner for all waterproof leather clothing, equipment and accessories. It adds water repellency, revives breathability and conditions full-grain leather. 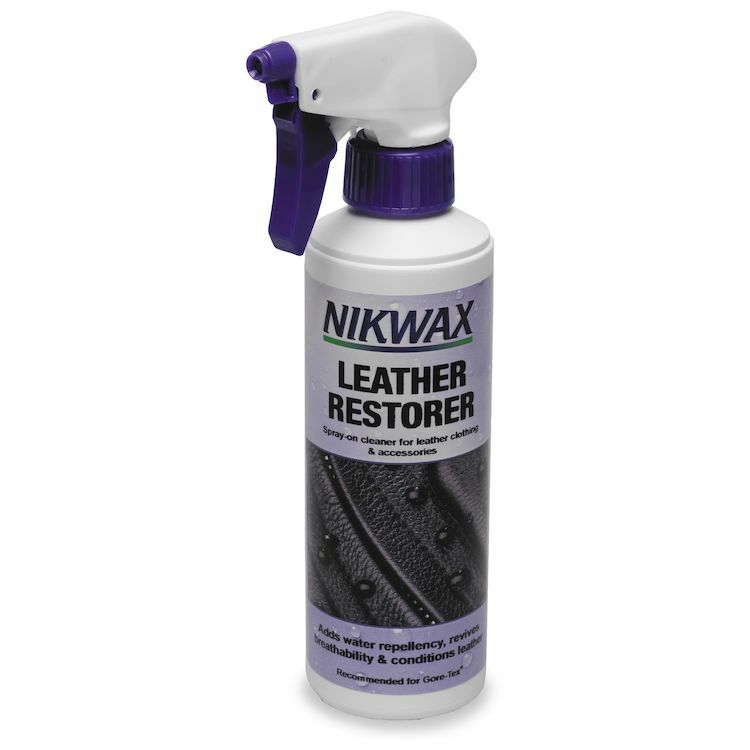 Nikwax Leather Restorer has been specifically designed and optimized for breathable waterproof smooth leather gear. It adds Durable Water Repellency (DWR) to smooth leather, maintaining breathability and conditions leather by replenishing tanning agents and lubricants. Nikwax Leather Restorer is absorbed into the leather where it is needed most and will not over-soften. Being water based, it can be used on wet or dry leather. It is non-flammable, contains no harmful solvents and is free of volatile organic compounds (VOCs) and fluorocarbons.